Are you having blurred vision or sensitivity to light? A cataract is a clouding of the eye’s natural lens that interferes with the light passing through to the retina. Individuals with cataracts usually describe their vision as being similar, to looking through a foggy windshield. Also, your reading may become more difficult and driving become dangerous especially at night. Many are bothered by halos, glare and need frequent changes in their eyeglass prescriptions. According to the American Academy of Ophthalmology, aging is the most common cause. This is due to normal eye changes that happen starting around age 40. That is when normal proteins in the lens start to break down. This is what causes the lens to get cloudy. People over age 60 usually start to have some clouding of their lenses. There have been many advances in cataract surgery techniques and Intra-Ocular Lens (IOL) options in recent years. As an alternative to standard cataract surgery many patients today choose to upgrade to one of the advanced IOL options. These advanced IOLs can potentially eliminate the dependence on glasses for most activities such as driving, reading a book or working on a computer. Advanced IOLs are designed to meet individual eye health and lifestyle needs. Making the right choice is up to you and your surgeon. Cataract surgery is only performed once in a persons’ lifetime, so it is important to consider which IOL options. The decision will affect how you see for the rest of your life. Griffin Eye Center offers the latest in cataract surgery with Advanced Intra-Ocular Lenses (IOL) and surgical techniques. Ophthalmic surgeon, Dr. Neil B. Griffin is the first in the US to use the latest FDA approved Zepto™ Capsulotomy System. The Zepto system allows the surgeon to determine the patient’s own unique visual axis intraoperatively. 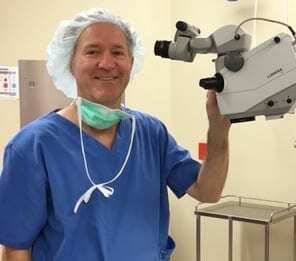 Leading ophthalmologist, Dr. Griffin specializes in cataract, LASIK and corneal surgery. He is board certified by the American Academy of Ophthalmology and fellowship trained in cornea and external eye diseases. If you would like more information on advanced cataract surgery, Intra-Ocular Lenses or eye disease please call 843-449-6414 or visit www.griffineyecenter.com.